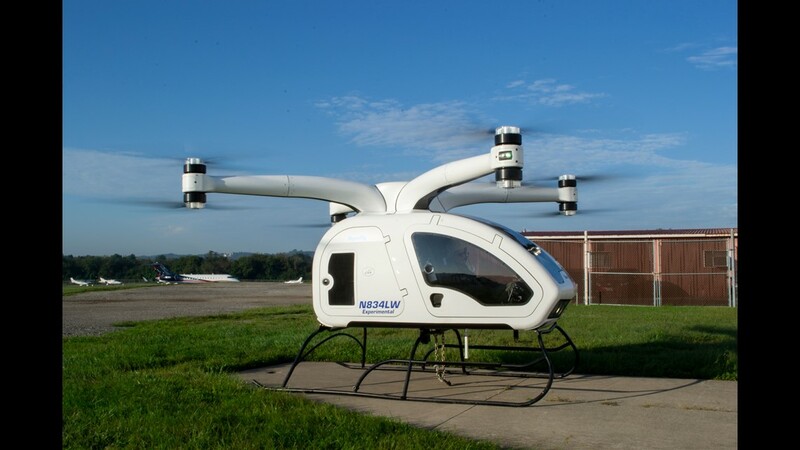 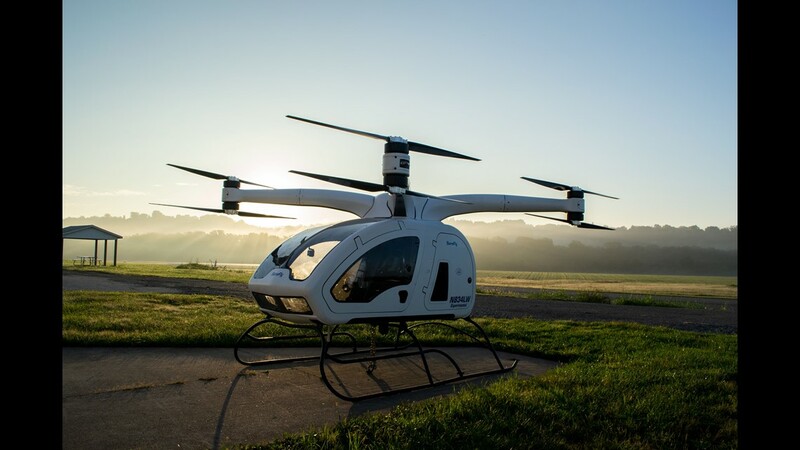 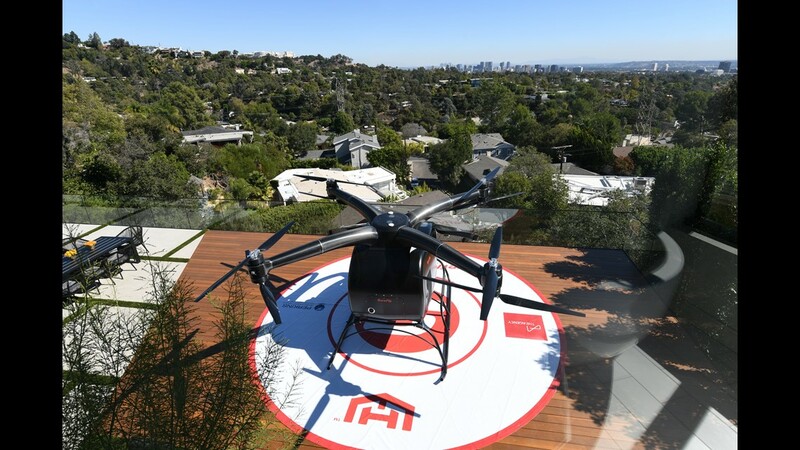 The SureFly, a hybrid-electric helicopter, photographed on a landing pad at a home in West Los Angeles. 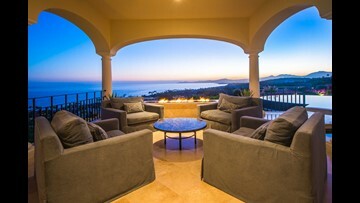 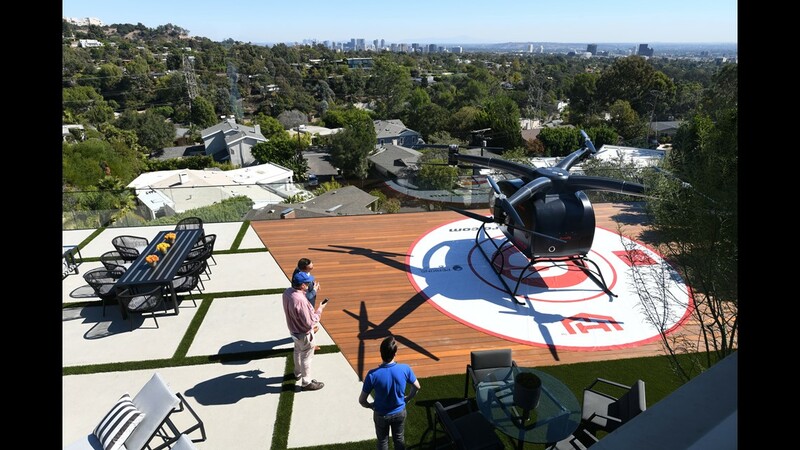 The SureFly, a hybrid-electric helicopter, is admired on a helipad at a home in West Los Angeles. 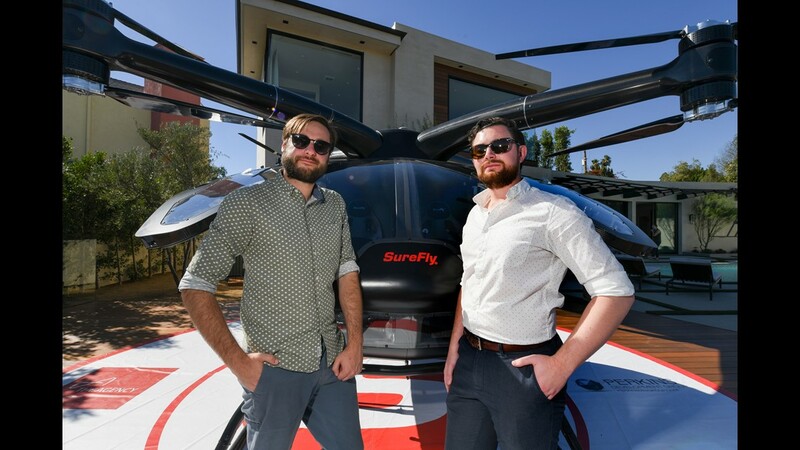 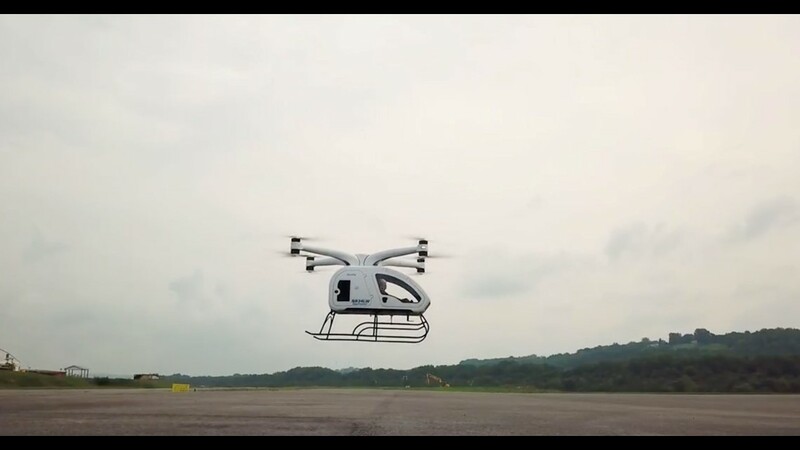 Elliot Bokeno, technical Lead (left) and Justin Jantzen, lead test engineer, with the SureFly a hybrid-electric chopper.